Serious incident prevention: A career perspective. The improvement challenge. The barriers to improvement. Management of change. A proven process improvement model. 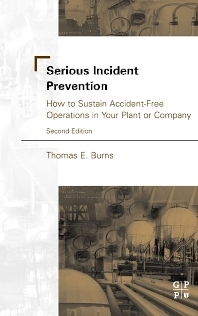 Establishing serious incident prevention as an organizational priority. Employee involvement. Understanding the risks. Identifying the critical work. Establishing performance standards. Measurement and feedback. Reinforcement and corrective action. Improving and updating the process. Applying the process model: A case study. Responding to the challenge.